In-Home Dog Training for busy people who want results fast. For people who want the fastest most convenient path to a polite well-behaved dog. Cyndi comes to your home and trains your dog(s) for you, even while you’re at work (we’re insured with references). Then she trains you to maintain/reinforce the new behaviors. It’s much faster and easier than doing it by yourself, because both you and your dog get the ideal learning experience. Your dog learns from an expert dog trainer, and you get to learn with a dog who is already trained. Cyndi’s training and expertise allows her to teach your dog in 3 weeks what a traditional obedience class covers in 3 months. For people who want help learning to train their dog in a real-world setting. Cyndi comes to your home, office, dog park or anywhere that your dog misbehaves to help you gain control in a real-world setting. She gives you personalized coaching/training lessons on a weekly basis at a time that is convenient for you. She will design a custom training plan and provide intensive support between lessons. This is best for people who want to learn about dog training with time to devote to daily training sessions. 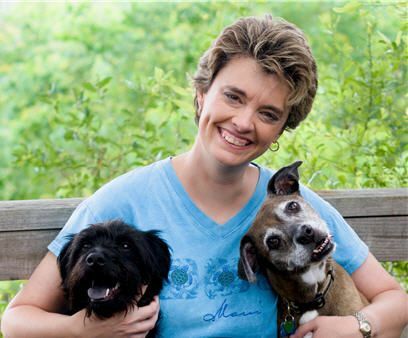 Cyndi Smasal is a Professional Positive Dog Trainer, Pet Care/Health Coach and Pet Nutrition Specialist. She is also the author of two books: “Hope for Healing Liver Disease in Your Dog” and “Help Me! My Dog Won’t Eat”. Cyndi was born and raised in San Antonio Texas. She has a Bachelors of Science in Computer Science and had a 25 year career in the computer industry. Her love of saving dogs led her to leave the computer world and embark on a new journey to help pet parents take the best care of their dogs through nutrition, holistic healing and dog training. For the past 15 years, Cyndi Smasal has turned her love of one dog Norman (the subject of her first book), into a passion for all dogs. She’s helped thousands of dog lovers through her book and hundreds have spoken with her about their own dogs with liver disease. Cyndi received Certification in a Professional Dog Trainer Instruction Program. Additionally, she has studied canine nutrition, animal naturopathy including natural and holistic animal care..
She trained over 300 dogs in group classes and now trains dogs in clients homes. She has worked with puppies doing extensive early socialization from as early as 3 weeks old. And she has traveled to train dogs in Florida, Vail and throughout the San Antonio area and Texas Hill Country. Cyndi regularly conducts free puppy socialization workshops at Kriser’s Natural Pet Store. She has been called the “Puppy Whisperer” because she understands puppy behavior and gives her clients valuable insights into managing and training them to be well mannered adult dogs. 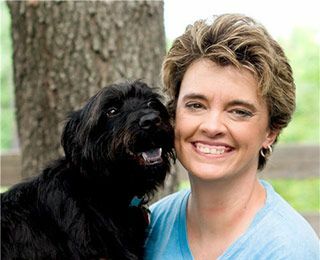 In addition to being a dog trainer, Cyndi brings years of experience with nutrition and pet care to all of her clients. She brilliantly integrates this knowledge and experience and provides valuable education on caring and feeding dogs of all ages. I work with people who love their dogs and think of them as family. I work with people who want a well mannered dog but don’t want to use harsh punishment to get it. And I work with people and who are interested in what’s best for their pets…good nutrition, positive training and alternative health care options. I’ve been training my own dogs since the ‘90’s. I completed a dog trainer instructor program (private certification) and taught group dog training classes at pet store for 2 years. I’ve been doing in-home dog training since 2016. I’ve worked with over 350 dogs and their people. 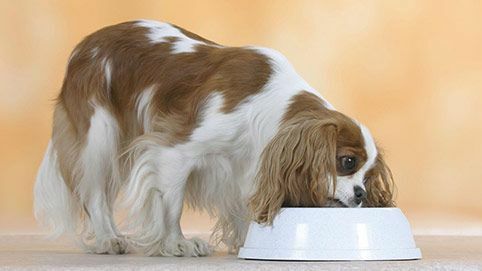 I have been feeding home cooked diets for my healthy and sick dogs for 14 years. I studied canine nutrition at American Council of Animal Naturopathy and other online nutrition training courses for 2 years (species appropriate home-prepared raw and cooked diets). I worked as a pet food representative at pet store for a year. In that position, I learned all the pet food industry jargon and marketing techniques along with their formal pet food industry “nutrition training”. I worked at big pet store and smaller “natural” pet store for 2 years as Pet Nutrition Specialist. In that position, I completed pet nutrition training (commercial diets) and spoke with pet food representatives from all major brands and learned all their specialties and what each formula is recommended for specific needs. I completed Personal and Business Coach Training in 2003. I have been coaching/consulting with people about their dogs with liver disease since 2005. I studied animal naturopathy at American Council of Animal Naturopathy in 2013. I participated in professional training and development courses and education for 6 years with Landmark Education. I became a Pet Expert on PetCoach.co in 2014. If you are struggling with an out of control dog or puppy, WE CAN HELP! Real world solutions that work for you and your families’ real lives. We’ll train your dog with you or for you in your home on your schedule. Personalized nutrition consultation for choosing commercial diet or formulating home-prepared raw or cooked (fresh food) diets/recipes and toppers for dogs and puppies. Knowledge and experience to help you make informed decisions about your pet’s care and health. Does not replace the services of a Vet but helps you keep your dog healthy and care for your pet during times of illness. Start by contacting Cyndi in whichever way works best for you… (Email, chat, phone or facebook). Tell us about your problem or what you need help with. Once you and Cyndi have come up with the best solution, she will send you to the appropriate product or service. Then go ahead and pay for the service. Once you’ve paid, you may need to provide further information. Once you have made your payment, Cyndi will provide the service. Hi Cyndi, All the puppies have left and it’s pretty quiet here. Wanted to thank you again for all your help over the last many weeks. The pups will be much calmer, more confident, and better pets because of your work with them. All the new owners were impressed with what you did to advance their socialization and thought their puppy was really smart!! You’re a terrific trainer and a very nice person and so glad we had you help us with the puppies. We’ll miss seeing you on the regular basis we have been but hope you’ll stop by sometime. Thanks again Cyndi…you did a fantastic job!!! John H.
Cyndi’s Dog Training Plan Works! Pawtastic Pet Solutions (Cyndi) worked with me to create a specific plan for my dog and it worked!! My Reba (10lb yorkie) was attacked by a larger dog. Cyndi worked with me (over the phone) to ensure the trauma did not have significant long-lasting emotional impacts. Simone K.
Cyndi Is The Real Deal! I cannot recommend Cyndi enough! She was amazing with the dogs and also with me and my roommate. She took the time to get to know each dog (we have two) and train them up from there. She was patient and professional with us and provided amazing coaching and feedback. If you’re looking for someone to assist you training your adorable four- footed babies, Cyndi is that person! Please call her! Cyndi is the Real Deal! Chad M.
Thank you for considering me to be your Dog Trainer/Pet Coach, and thank you even more, for being a HUGE pet lover! People like you, who are willing to go the extra mile for their pets really inspire me. Please feel free to contact me. I'd love to help you by answering your question and sharing my knowledge with you so your pet can live a long, happy, healthy life. 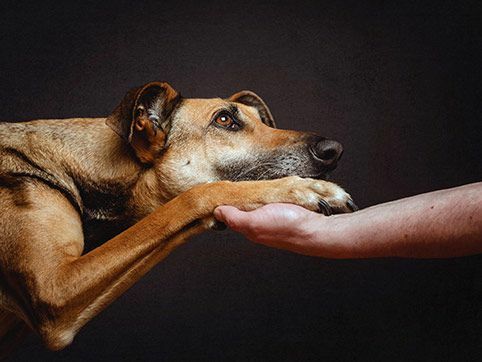 Initial consultation over the phone/skype/chat to discuss your dog/cat and see if we can help, is always FREE. Initial Dog Training Evaluation and Consultation fee is $97 for 1.5-2 hours performed in your home. 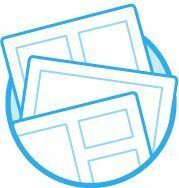 In-Home Dog Training/Coaching Lessons are $77 each, or package of 4 lessons for $267. Pet Coaching/Nutrition Phone consultation fee is $25 for half hour or $47 for an hour (phone/skype). 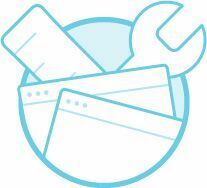 meet your specific needs and give you specific prices for your personalized solution. This is similar to how things work when going to see your Vet. You pay a visit fee and then pay for each additional service provided. This depends on the service. In-Home Day Training Programs are usually 2-3 weeks. In-Home Dog Training/Coaching is usually done once a week over 4-6 weeks. Custom diets usually take 5-7 days. There is currently a 1-2 week waiting period for new dog training clients and custom diets. Please contact Cyndi right away to get on the schedule. This website is not designed to, and does not, provide veterinary advice. 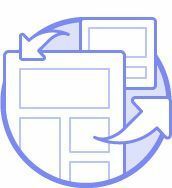 All content, including text, graphics, images and information available on or through this website are for general educational purposes only. Copyright © 2015-2018, Pawtastic Pet Solutions. All Rights Reserved.